Central Square will be open until midnight on Saturday 17 March. Come to recharge in the food court with a quick bite to eat, have a drink and rest your legs before heading out into the crowds again. Please note there may be slight variations in the menu to ensure that all customers are served as quickly as possible during the night. 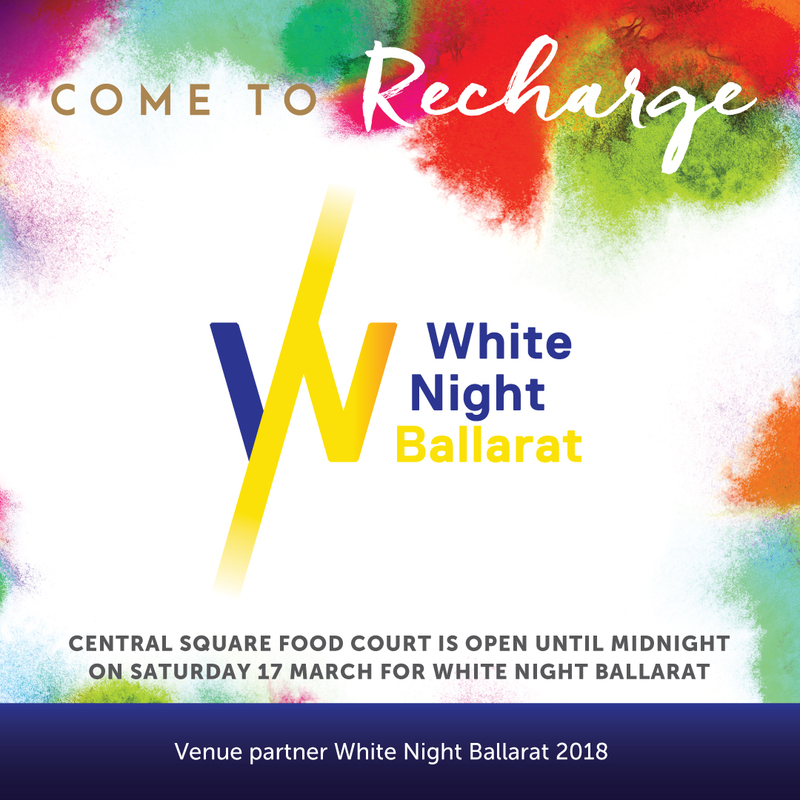 Visit www.whitenight.com.au/ballarat to plan your evening and be sure to include Central Square during your night.